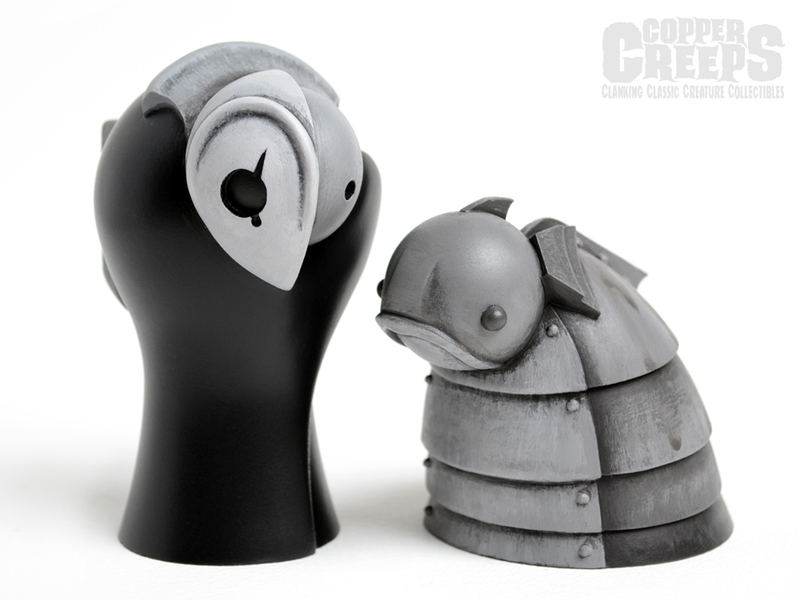 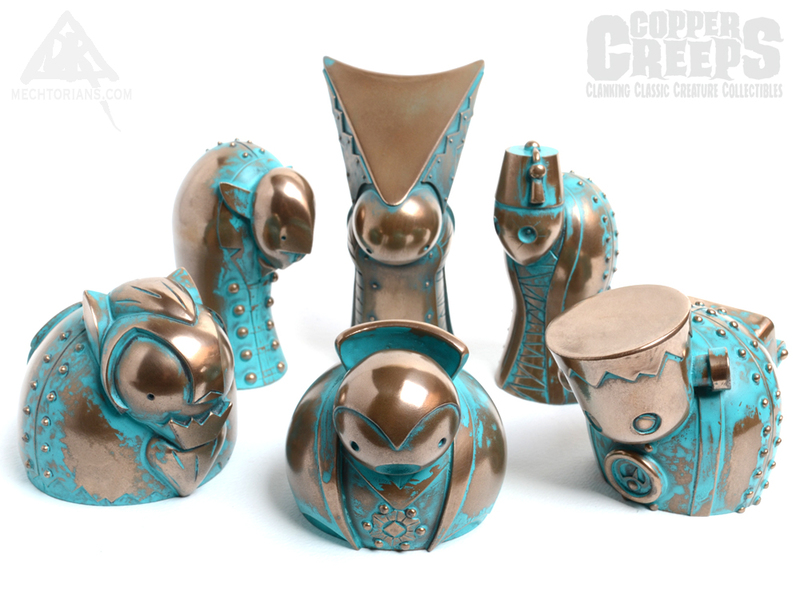 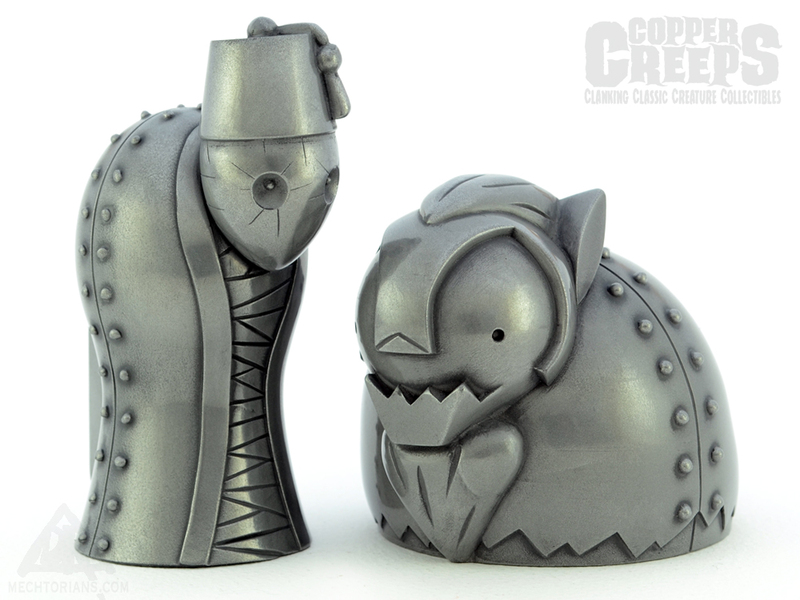 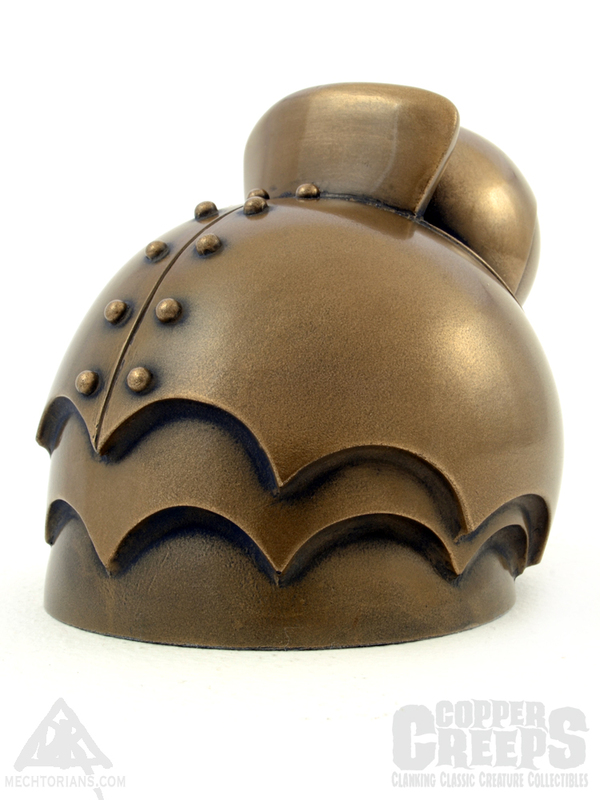 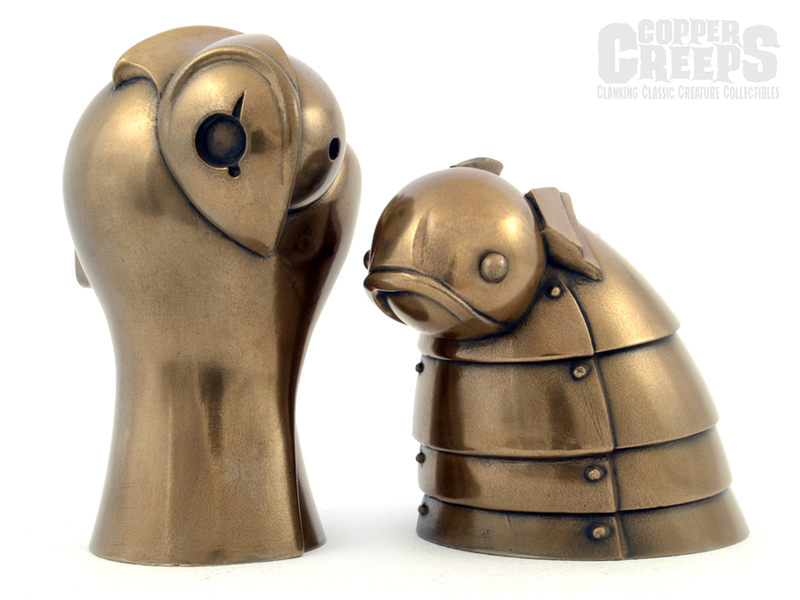 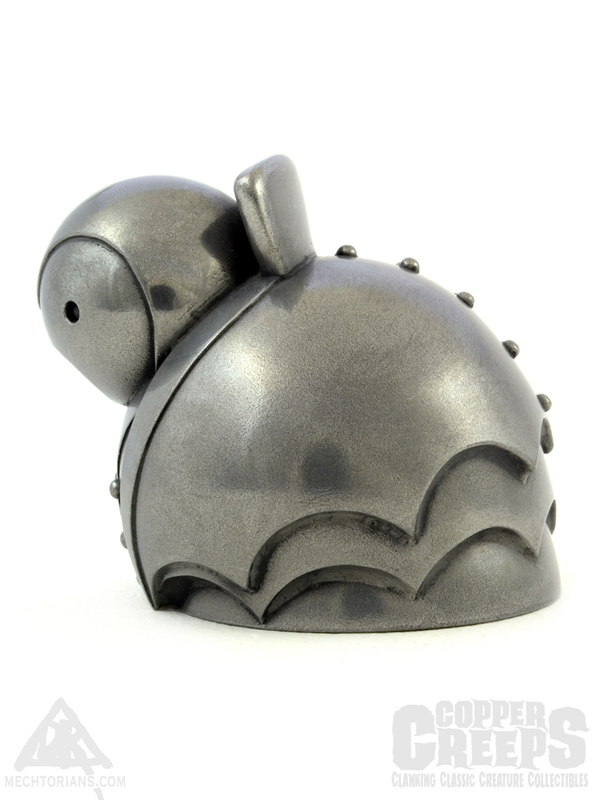 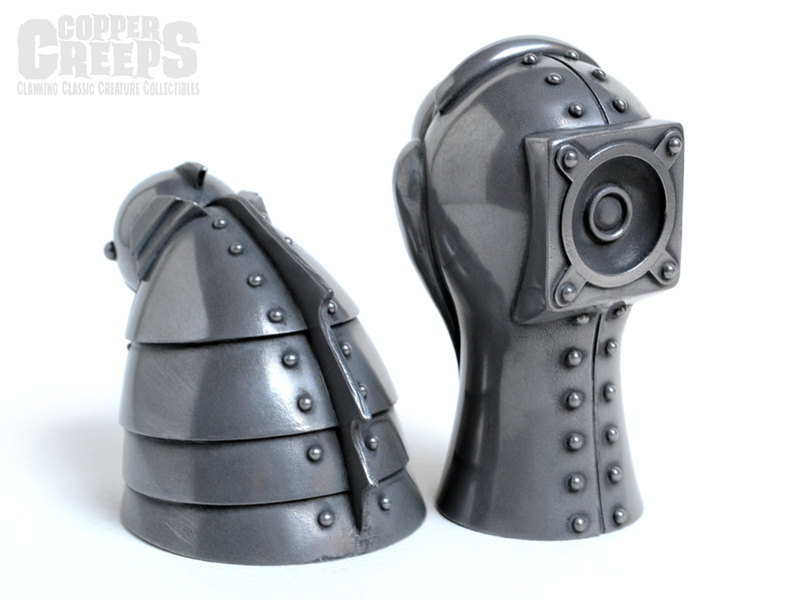 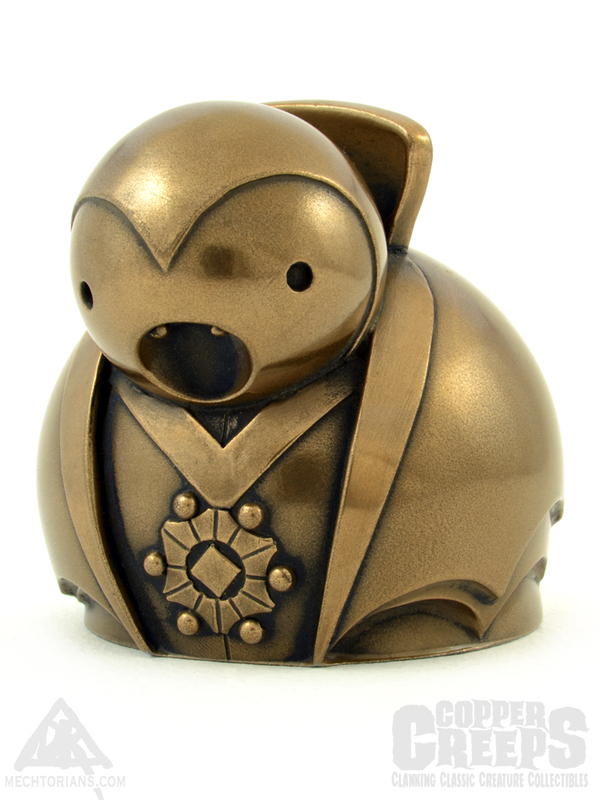 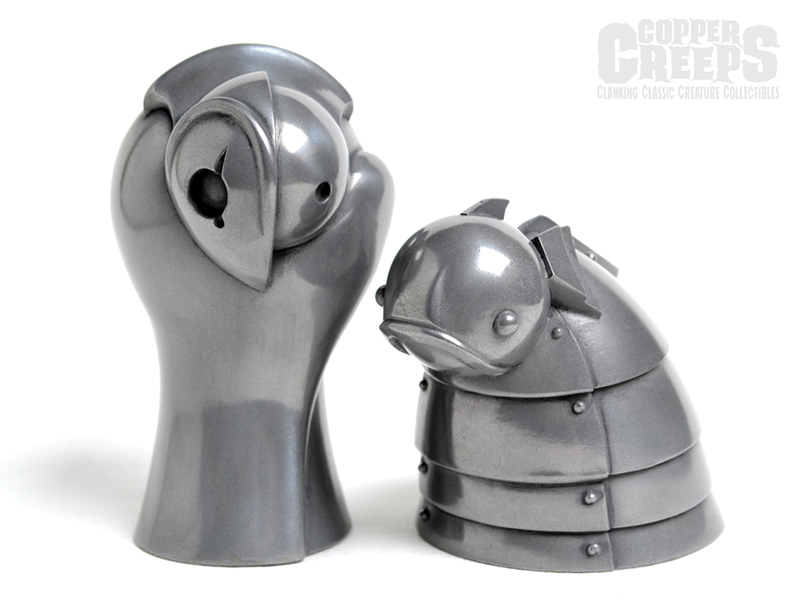 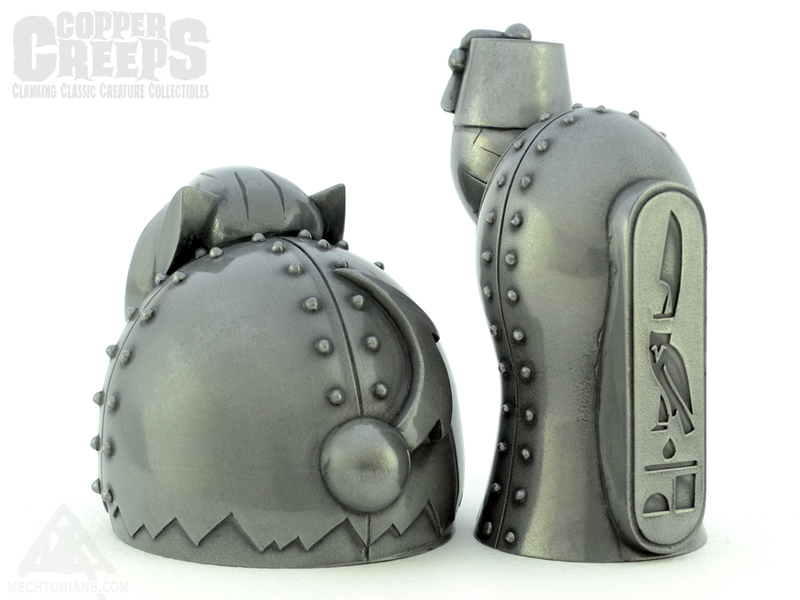 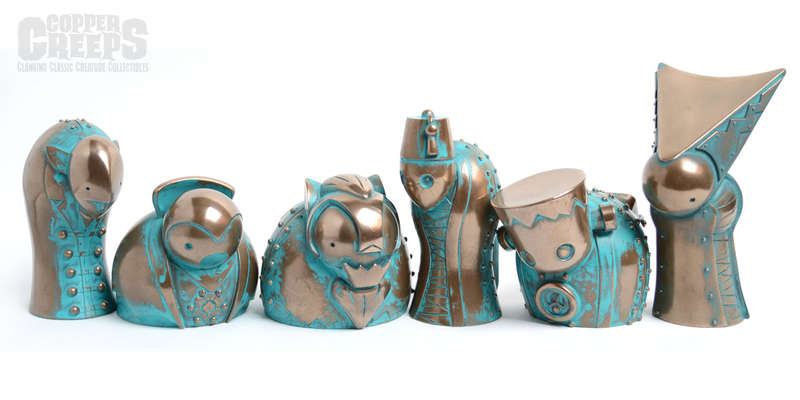 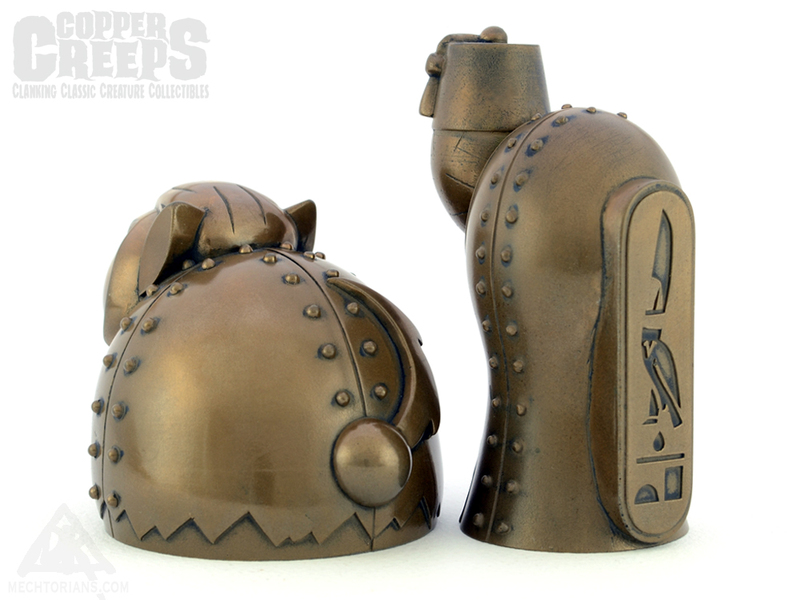 If you are interested in collecting Copper Creeps in an aged Bronze/Verdigris finish then head on over to Martian Toys. 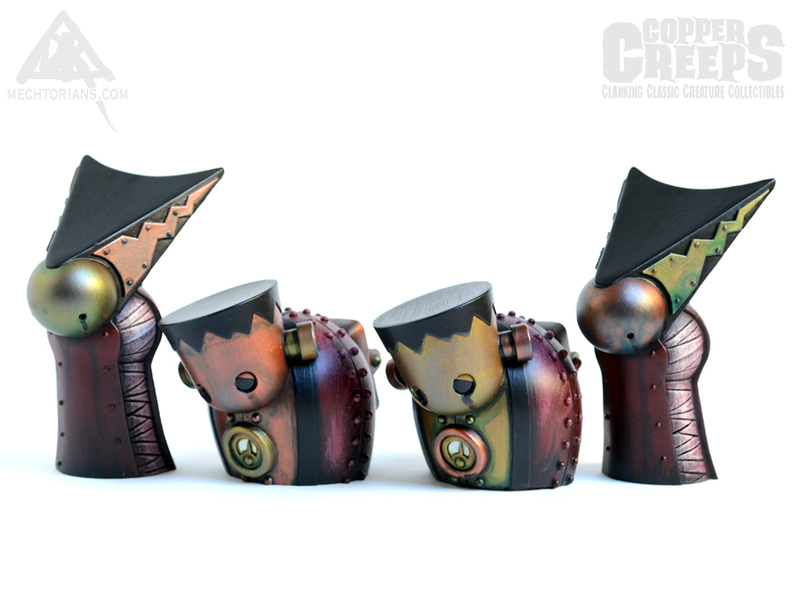 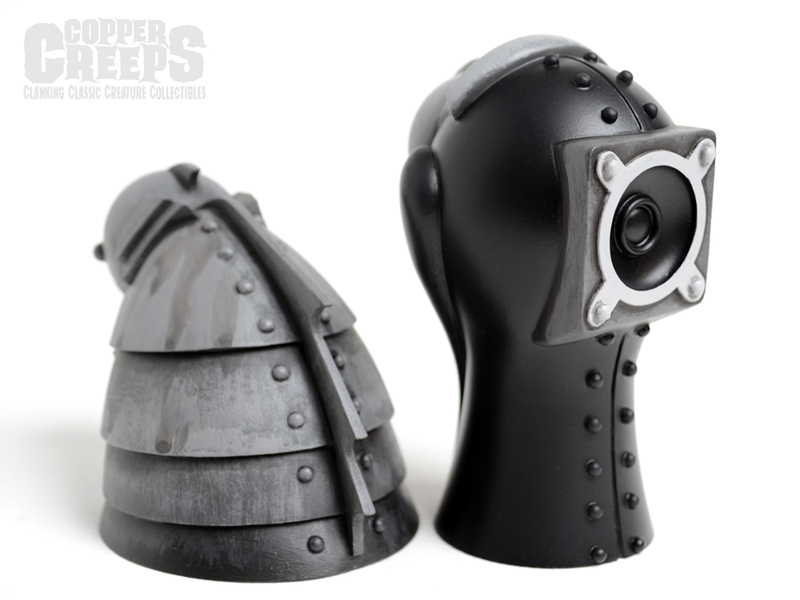 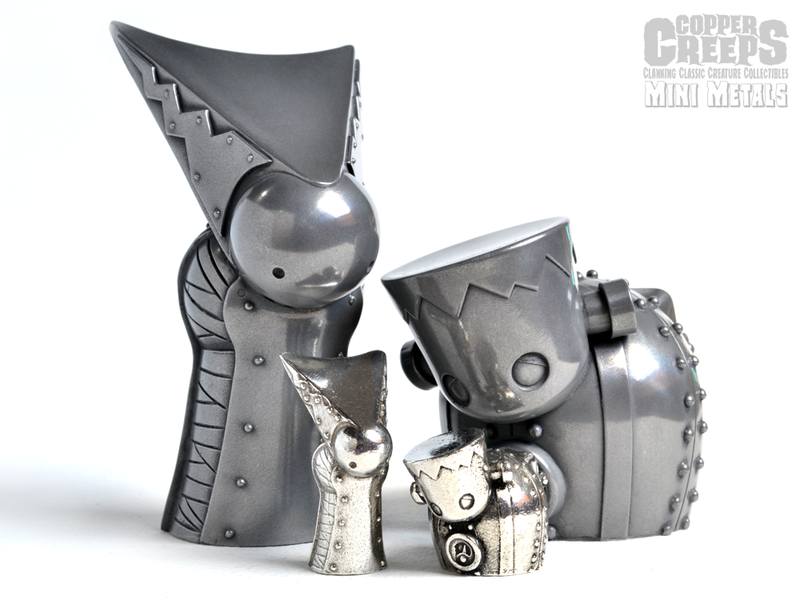 This makes Martian Toys the second store in the USA to carry Copper Creeps. 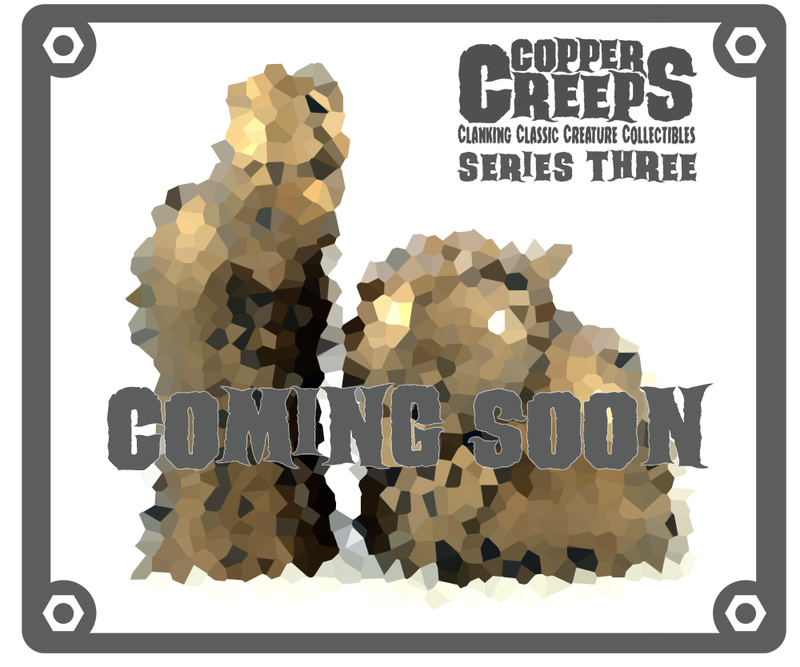 You can also view and purchase Copper Creeps from 3D Retro in L.A .
And in the UK from V&A, 7 Albert Street, Hebden Bridge, Yorkshire. 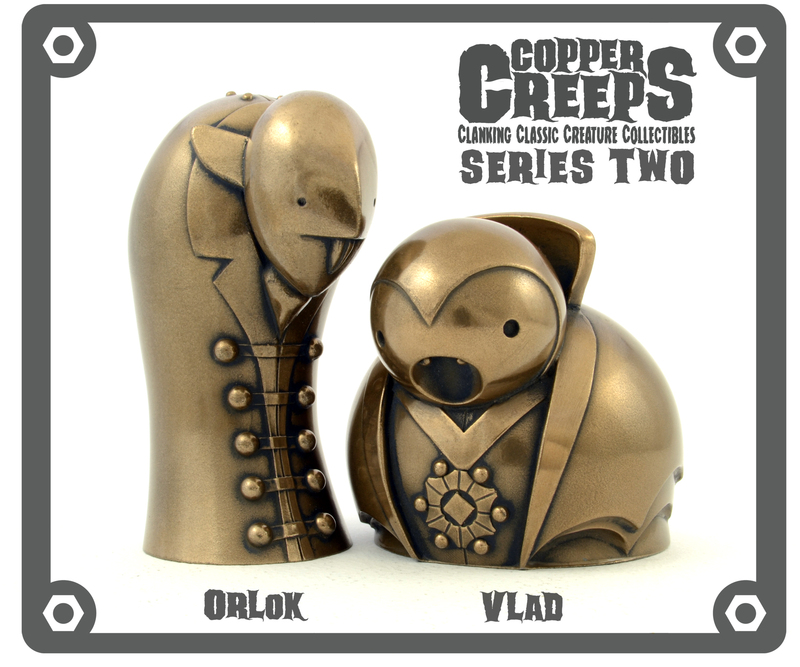 Following the success of the first series pairing, The Monster and The Bride, series two introduces Vlad and Orlok. 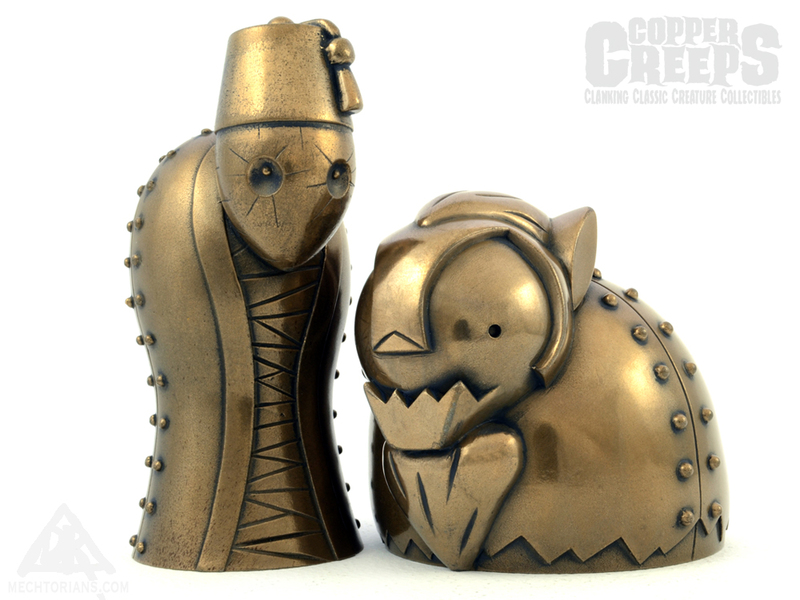 Two new twists on your favourite nocturnal undead blood suckers. 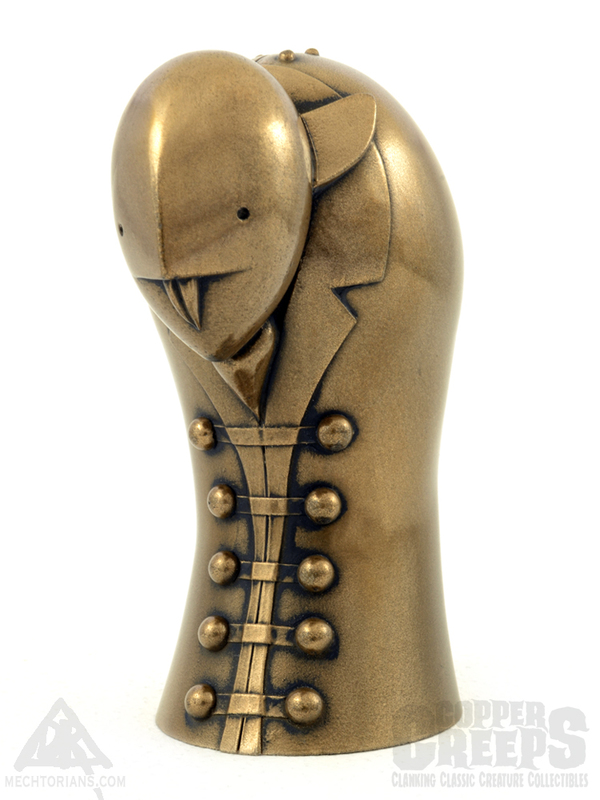 Designed and sculpted by award winning toy artist Bruce Whistlecraft (A.K.A Doktor A.). 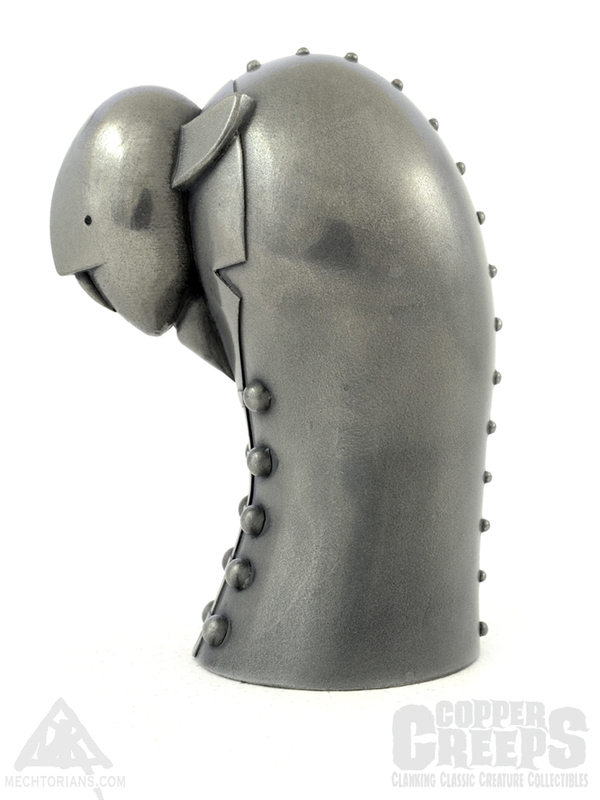 Each piece is lovingly and individually hand cast and finished in England in finest antiqued “Cold Cast” metals. 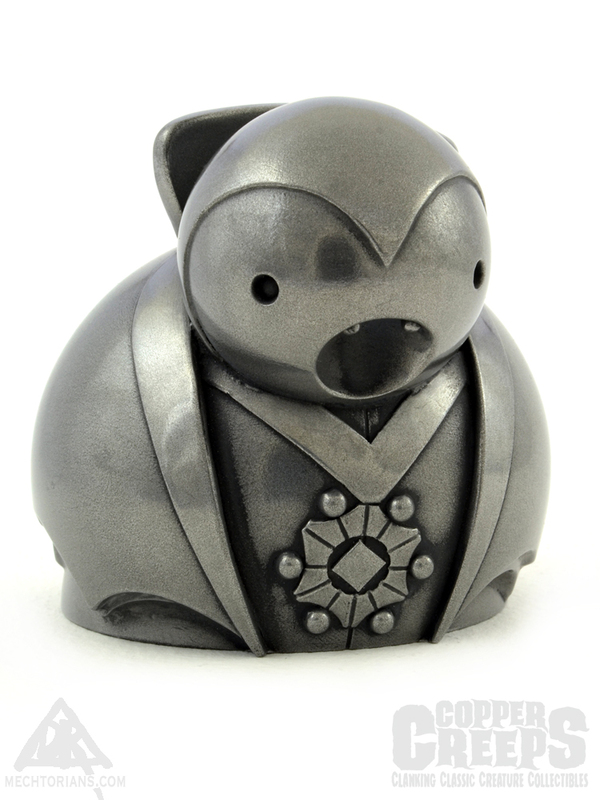 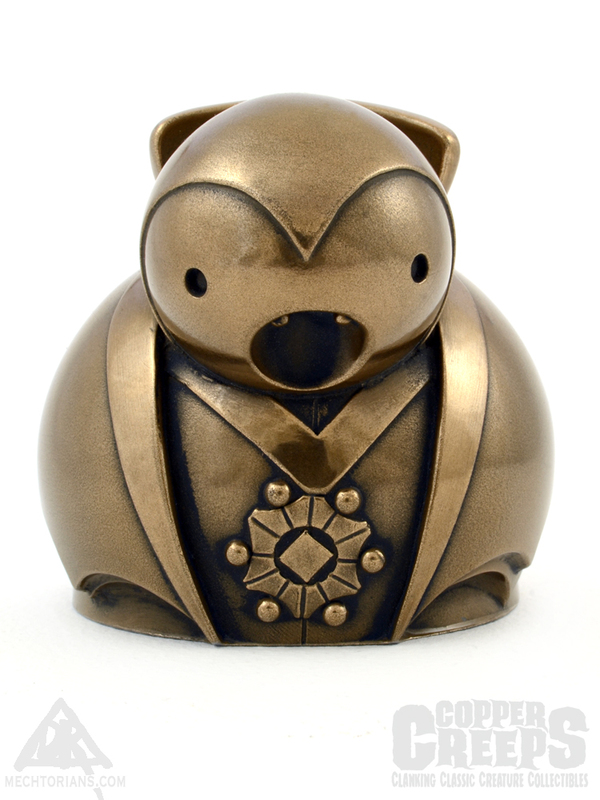 Vlad stands a chunky 2.5″ tall. 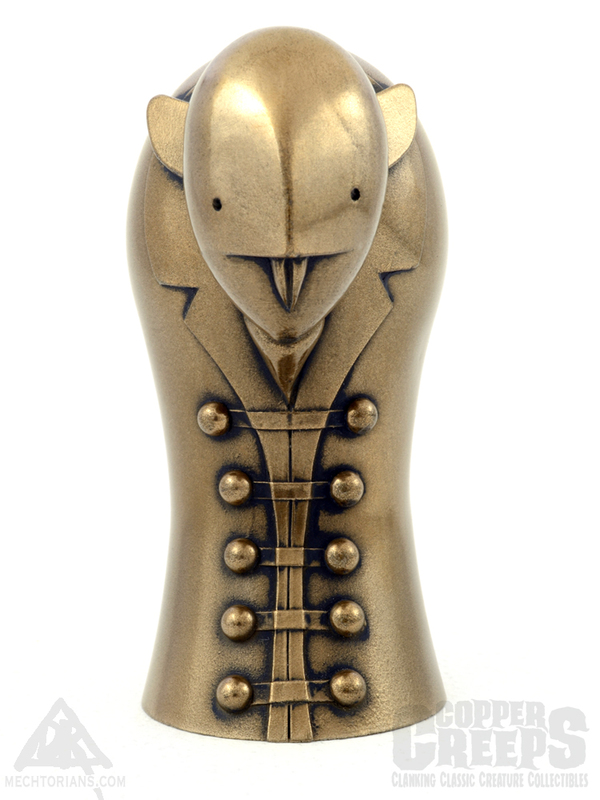 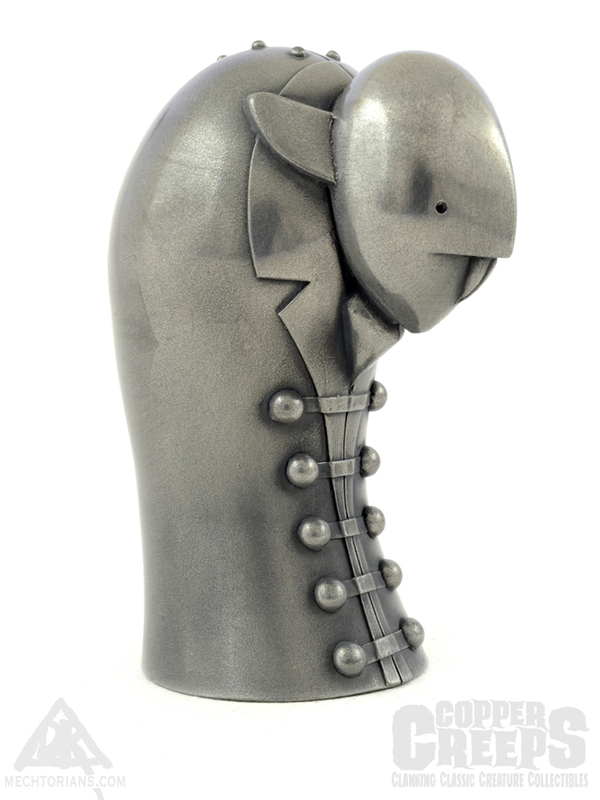 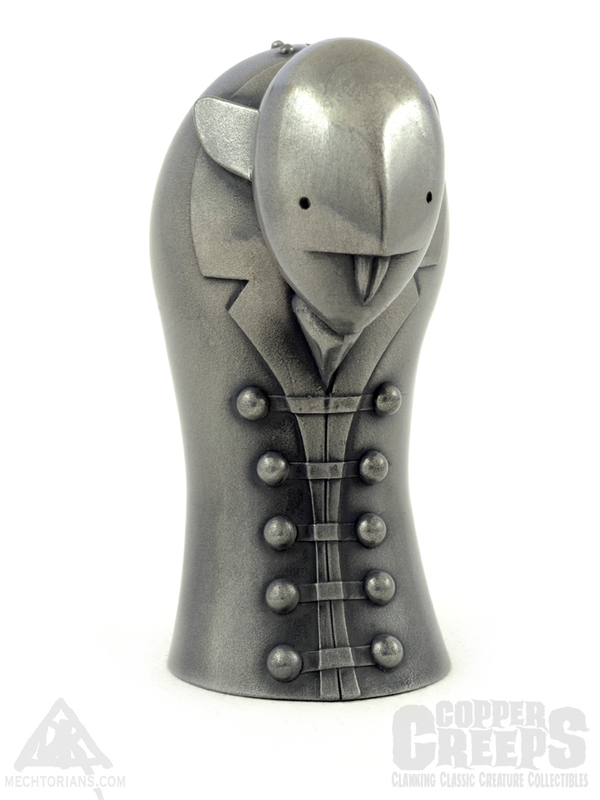 Orlok a slim 3.5″ tall. 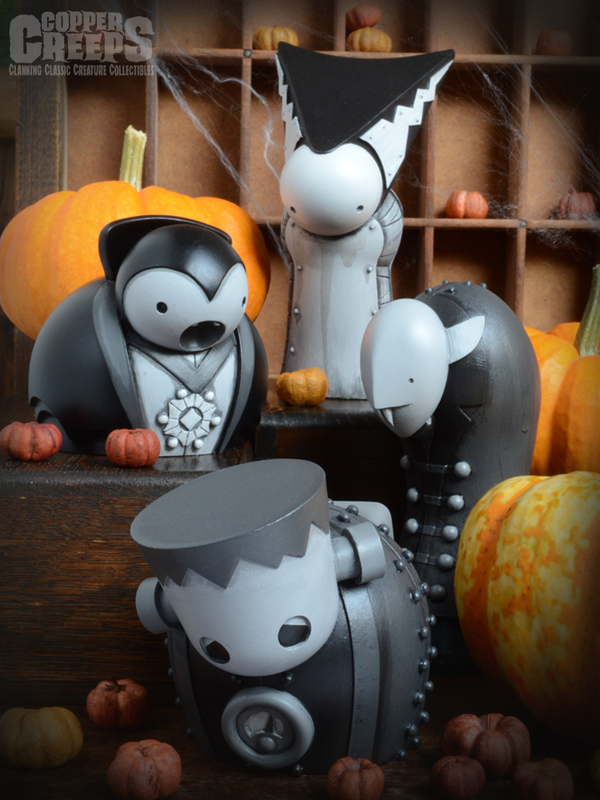 So don’t walk… RUN to purchase a set for yourself.